Why pay your membership dues for the PTA and make it official? 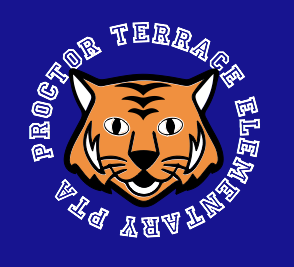 Proctor Terrace PTA funds academic, athletic, artistic and after school enrichment, provides funding for playground equipment, field trips, our school garden, new technology and special events like Tigerfest, Bingo, and Zumba. EVERY child at Proctor Terrace has benefited through our PTA. But your membership goes beyond our blacktop. The National PTA advocates for legislation impacting children and education. Please show your support for Proctor Terrace by becoming a PTA member today! Memberships are only $10 per person and members can include your family and friends.